So today as I sat down to write I had no idea what I was going to post. I think my brains fried from finals. I was reading my comments and there it was. I was tagged by Claudia from Simply Claudia to do the Christmas Cracker Tag. It was almost meant to be! Make sure you all go check out Claudia's page to see her answers to the tag! So lets jump right in. This year was really hard to find anything to put on my list. I think if I had to say it would be the Clarisonic. 2. What's on your Christmas Day agenda? Christmas Day is super casual for me and my family. Christmas Eve is actually a busy day for me, it when all my family gets together and when we open presents. I'm all done with my Christmas shopping, I sorta cheated and got everything online because I absolutely hate the stores this time of year. I swear they give me anxiety. I'm gonna say it had to be when I was super young, like still into Barbie young. I got the Barbie dream house and I was pretty excited, lol. My Christmas tree is usually up in time for Thanksgiving. I normally do, but I don't know what it is yet. My family likes to go all out on the holidays so it get pretty glam. No, I never really do anything on boxing day. I try my hardest to avoid the stores till after New Years Eve. I honestly can't say, I don't really think I believed because of my two older sisters. I love seeing my niece and nephews faces when they open their gifts. I also love having all my friends and family home for the holidays. And lastly I tag everyone to do this tag as well. 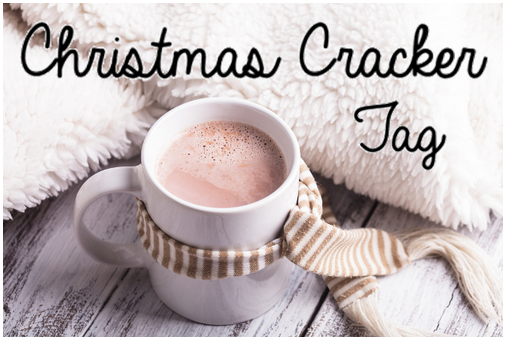 12 comments on "Christmas Cracker Tag!" What a great tag! Thanks for tagging me, Franchesa! I feel so special now :). Anything from the Winter Collection at Bath and Body is amazing. I wish all of the fragrances I gave for Christmas could just be mine! I completely agree, love them all. Thanks for stopping by!